Globe outs Platinum Plan for the winning combination of the Samsung Galaxy Note 3 and the Galaxy Gear. Subscribers can avail of the latest Samsung Galaxy bundle for free at Roaming Plan 5000 over a 24-month contract period, the most competitive offer for the high-end postpaid market to date. The postpaid plan comes with unlimited Long Term Evolution (LTE) connection for mobile internet speeds of up to 42 Mbps and a P4,000 monthly consumable with an option to use the amount for roaming services or for local and IDD services with a bonus free subscription to SUPERDUO for unlimited calls to Globe mobile and landline. Globe is also offering Platinum customers to avail of the Galaxy bundle at All-Net Plan 5000 with a monthly cashout of P800 for a 24-month period. With All-Net Plan 5000, subscribers get unlimited calls and texts to all networks and unlimited LTE internet, plus a P1,000 monthly consumable amount for roaming services. With a Roaming or All-Net Plan 5000 subscription, Platinum customers automatically qualify for a Platinum Premier membership, which provides them exclusive access to a dedicated platinum hotline, priority handling in Globe Stores, discounts at partner merchants, a dedicated Platinum Relationship Manager, access to full Domestic and International Concierge, MIASCOR Airport Lounge access, and an advance reward for every P120,000 billed usage*. Platinum subscribers can also get the Samsung Galaxy Note 3 free at Plan 3799 and with a monthly cashout of P200 at All-Net Plan 5000, both under a 24-month contract period. The Samsung Galaxy Note 3 has a 5.7-inch full HD Super AMOLED display, a 2.3 GHz Quad-Core Processor, Android 4.3 Jelly Bean, 13-megapixel rear auto-focus camera with flash and zero shutter lag and a 2-megapixel front camera, 32GB user memory and is a 4G LTE-capable device. Additional features include the Air Command, Action Memo, Scrapbook, Screen Write, S Finder, Pen Window, Direct Pen Input, New Easy Clip, New S Note, Samsung WatchON and ChatON, and S Voice. 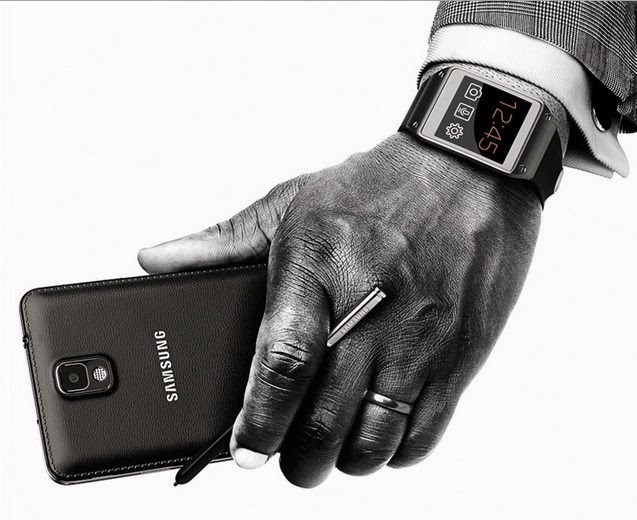 The wearable technology that is Samsung Galaxy Gear boasts of an 800 MHz single core processor, has a 1.63-inch Super AMOLED display, and 1.9 megapixel auto-focus camera. Additional features include the S Voice, Memographer, Smart Relay, and Voice Memo. It also has a 4GB user memory plus a 512MB RAM. Globe Platinum prides itself in giving its subscribers personalized offers no other network can match. Aside from the latest premium devices and all-network call and text services, Globe Platinum offers consumable amounts and various choices of complimentary exclusives which can be changed as often as every month. It is known in the industry to provide unparalleled service from the country’s top relationship managers, as well as exclusive rewards and privileges to its growing number of subscribers. Check out their dedicated page here.